Guess whose back??? It's us, your trusty CCD Podcasters with another AWESOME nostalgia filled episode of the CCD Podcast!!! 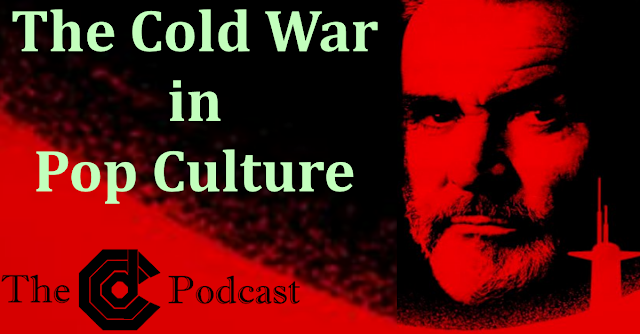 This time we are taking a look at examples of the Cold War in Pop Culture... you would be surprised how many times a 40+ year conflict with ZERO shots fired gets referenced in movies/tv/comics and much more! Joing Jedi Rob in the CCD Nerd Cave is Mike D and the LOVELY & TALENTED Mrs. Alicia Gomes! So throw on your Wolverines shirt, fire up the old WOPR computer to simulate some war games and get back to the surface before Red October because we are breaking this whole COLD WAR down to the ground like the remnants of the Berlin Wall Baby! See you on the other side!!! !